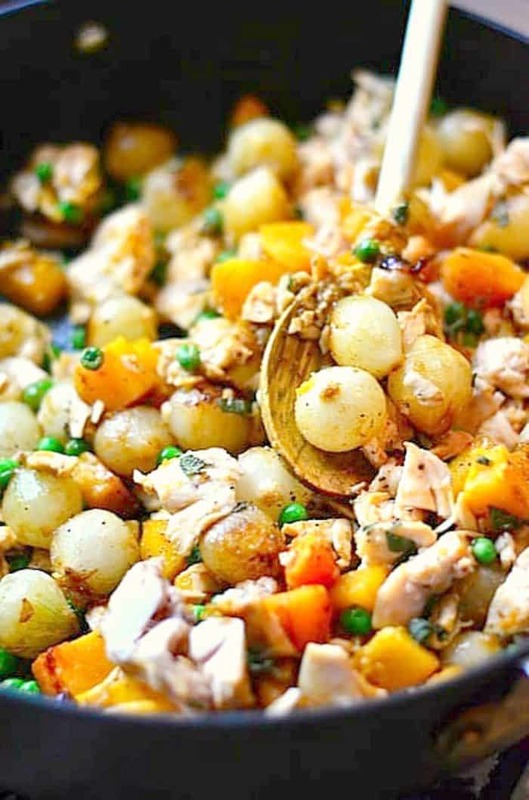 This Turkey Potpie with Butternut & Pearl Onions is a comfort one-pot meal with a delicious crust, easy to make with leftover turkey and vegetables. I love hospitality. And when it involves food, it feels even better, because food and friends equal comfort and love. 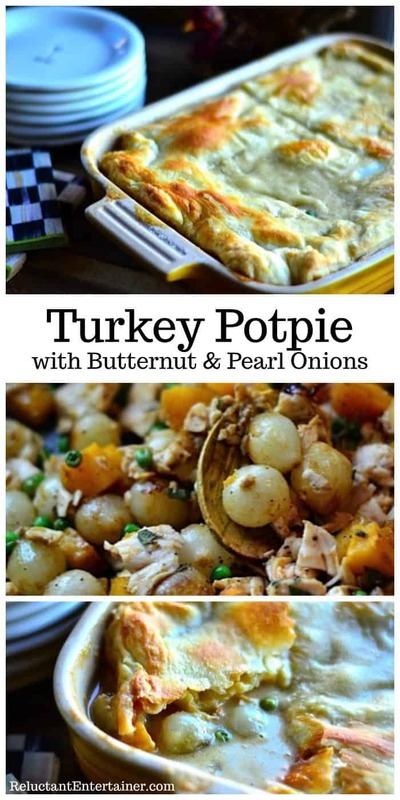 Today I’m sharing a story and giving you a delicious recipe involving Thanksgiving leftovers – Turkey Potpie with Butternut & Pearl Onions. There are so many ways to be hospitable. You can invite a person (doesn’t even have to be a friend … yet) into your home for a cup of tea, or you can take a little something to a neighbor, or a meal to a family in need, or a dish to a “covered-dish” party (otherwise known as potluck). You can put a gift card in the mail, or send a package long-distance to a friend, or drop off a pizza to a family having a hard time. There are so many ways to show love through food. I recently made a Turkey Potpie with Pepperidge Farm® Puff Pastry Sheets and leftovers I had in the fridge. 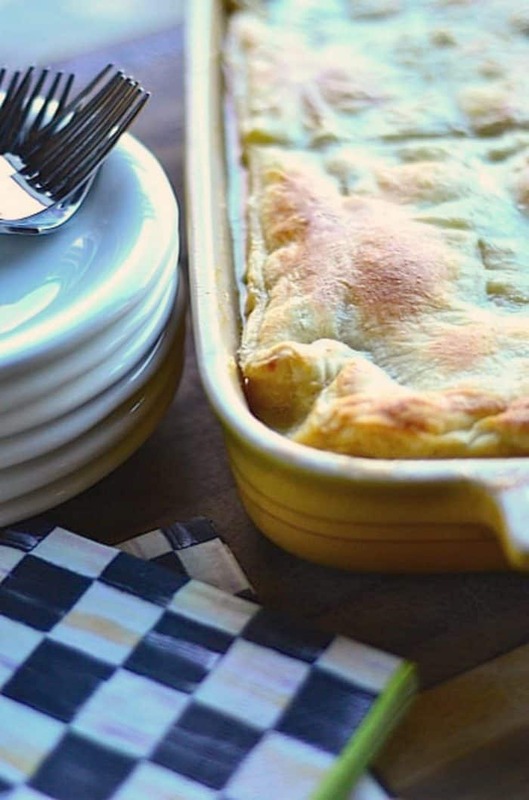 I invited a friend over for lunch and we sat and enjoyed a square of delicious potpie, which, by the way, is a recipe worth keeping for the weeks ahead. 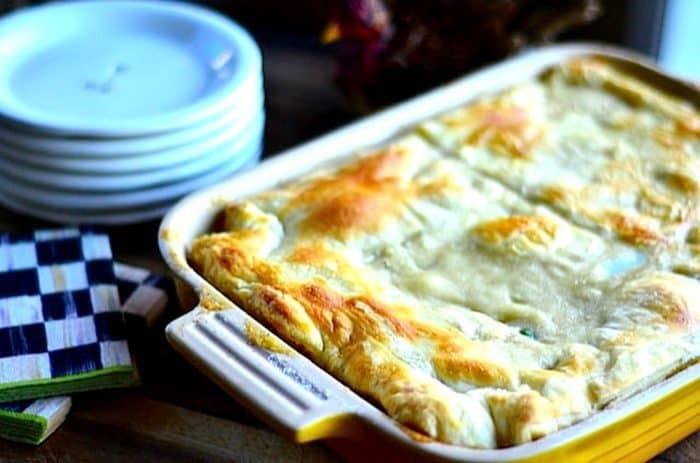 Puff Pastry is perfect for any kind of potpie, and with all the leftover turkey we’ll have next week, I can’t wait to make this recipe again for our college boys who will be home. The ways to be hospitable are as different as the givers. We are all uniquely and wonderfully made, and our simple joys, which do not have to be fancy, can be so appreciated during various seasons of life. Some people call those times random acts of kindness. Did I mention how much I appreciate hospitality? It really does not require fanciness at all. Which brings me to puff pastry. I love to keep it on hand because it’s affordable, it’s sooooo tasty (who doesn’t love it? ), it’s great for desserts and appetizers and main dishes. I try to keep it stocked in my freezer at all times. 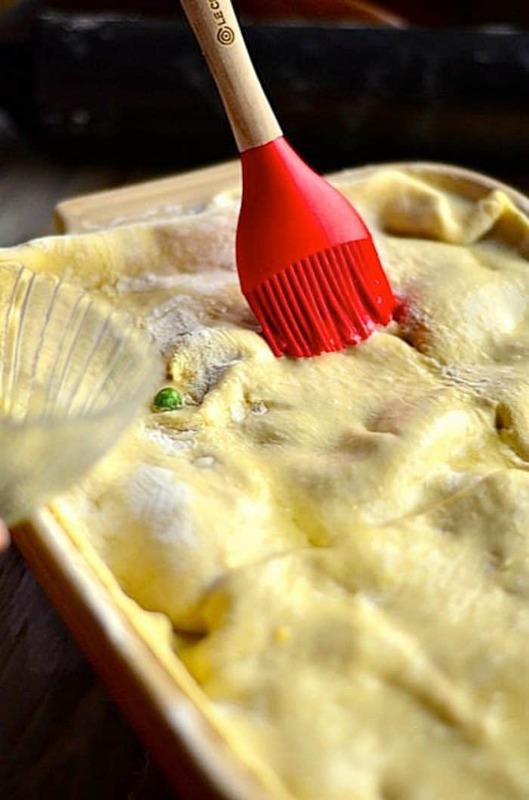 I keep Puff Pastry sheets on hand for times when I need to show love through food by making a simple potpie or tart. Disclosure: I worked with Pepperidge Farm® Puff Pastry on this recipe, but as always, all opinions are my own. This was my first time cooking with butternut squash and it won’t be my last! I used Welsh white cheddar cheese and its nutty and salty flavor went perfectly with this recipe. Also, I picked up rotisserie cooked turkey breast at the g-store and that helped cut down on prep time. I cannot wait to have leftovers tonight!!! 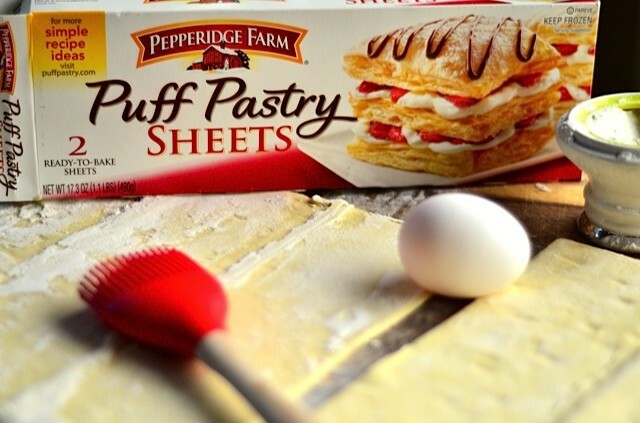 I always keep Pepperidge Farm puff pastry in my freezer. Love it this time of year for dessert tarts — I’m obsessed right now with pomegranate, cream cheese, honey, and pistachios! A day late, a dollar short! Yeah for Lauren! Boo for me. 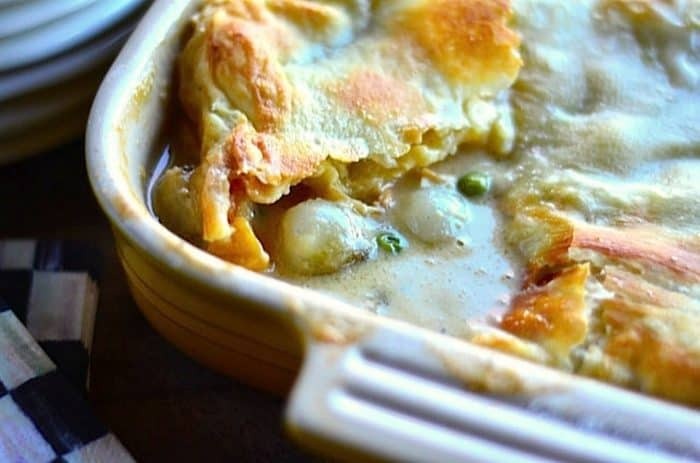 I use the Pepperidge Farm puff pastry all of the time, I love making individual pot pies and it makes it so insanely easy. My other favorite is for breakfast tarts. Ij just made one with chicken sausage, apple, caramelized onion, sage and goat cheese topped with red jalapeno slices. My hsuabnad said it was his favorite thing I’ve made in a while. I always crave pot pie this time of year. I did a veggie one last fall and I think I need to revisit that recipe. 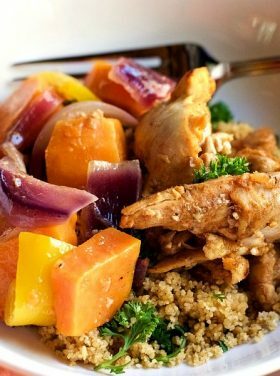 Great use of leftover turkey here! I love savory pies, I would make crab empanadas or a Greek spinach feta pie. 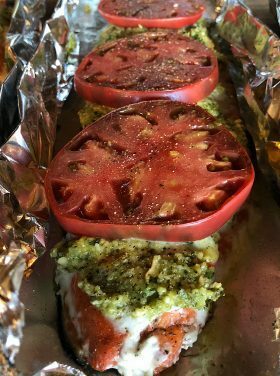 I make a puff pastry tomato tart in the summer with tomatoes fresh out of the garden. My kids would go NUTS for this recipe. Anything with puff pastry is heavenly! Use the pastry to make cream cheese, green onion, and crab puffs! Pot pie is the ultimate comfort food and it’s one we always serve during the Christmas season because it’s wonderful for feeding a crowd. One of my favorite ways to use puff pastry is to make puff pastry “ravioli” out of them (I actually use a ravioli cutter or circle cookie cutter to form the puff pastry pockets). I have filled them with savory ingredients (roasted peppers, olive, cheese) or made the “ravioli” into a dessert by filling them with Brie cheese and strawberries, then topping the baked puff pastry pockets with chocolate sauce. I think I would make an en croute using goat cheese and a caramelized onion and apple chutney, instead of the traditional brie en croute. ; D I would LOVE to go with you ladies!! I love puff pastry. I’d make them in mini muffin tins and fill with 3 cheese macaroni and cheese. Delish. I love the pearl onions in here…awesome idea! I use puff pastry for so many things but another favorite is a crust for my sausage-pepperoni pot pies and as biscuits for my chicken pot pie soup. Always a favorite! Hey Sandy, I use Pepperidge Farm Puff Pastry all the time to make hand pies for the kids. My favorite flavor combo though, is curried apple with sultanas, offering grownup appeal! I like to make a danish pastry for overnight guests. Just spread down the center third with sweetened, spiced cream cheese, top with fruit compote, slice the sides to fold over the center, and bake! I usually do a powdered sugar drizzle over the top. Such a lovely recipe! I love their puff pastry– it’s a staple in my freezer! 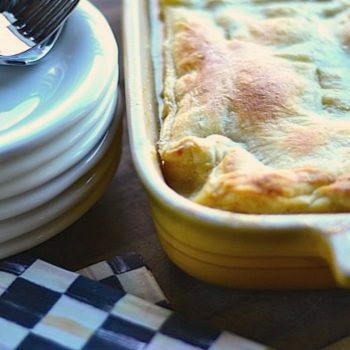 Thanks for the beautiful potpie recipe, Sandy! I love the Pepperidge Farms Puff Pastry and would opt to cut it into multiple squares, fill each one with goat cheese and fig preserve, and crimp it together before baking. Easy, yummy appetizer! The flaky crust is killing me. Sold!